Perry Township Schools was very fortunate to be chosen to receive a very generous donation of approximately 200 coats. 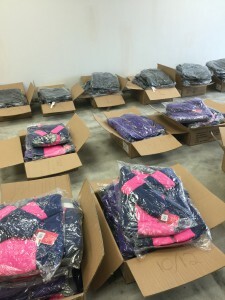 The national not-for-profit agency, Soles4Souls, distributes several thousand coats a year to various school systems across the nation. At the request of district Social Worker, Leigh Wilkins, Soles4Souls chose Perry Township as one of the recipients of a large donation of winter coats. 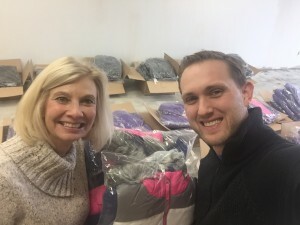 Thanks to Leigh Wilkins and Kyle Walke for sorting these coats and preparing them for distribution to our students who are in need of a warm winter coat.